Our mission is to continually provide the highest quality claims service in the industry. Our staff is trained to provide the most accurate inspection, reports, and estimates. The foundation of ISA is built on honesty and integrity. 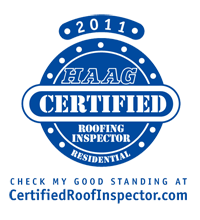 We strive to maintain the highest standards of integrity and professionalism in the industry. We take our obligation to our customers seriously. We hold ourselves not only to our standards, but yours as well. We have the "consider it done" factor. When an assignment is received by Inspection Services America, it is worked to completion. Send it to ISA and "consider it done."